The first schoolgirl pantomime with dinosaurs!! A wonderfully different pantomime with all the joys and pleasures of traditional pantos plus all the joys of school-girl stories. That means jealous tantrums, the triumph of the outcast pupil, jolly hockey sticks and more. Plus dinosaurs of all sizes. Schoolgirl genius, Moly Cules, is shunned by her jealous classmates because she has won the Nobel Prize for discovering the "talking gene", which can be engineered into animals to make them talk. Sadly, mad scientist Dr Nutcasé hears of her discovery and realises that if his cloned dinosaurs can learn to communicate, he will soon be able to build an all-conquering dinosaur army and rule the world. Only the the brave showing by the "embroidery teacher" Prissy Pringles and stalwart schoolboy Thikas Aybrick can save the day. 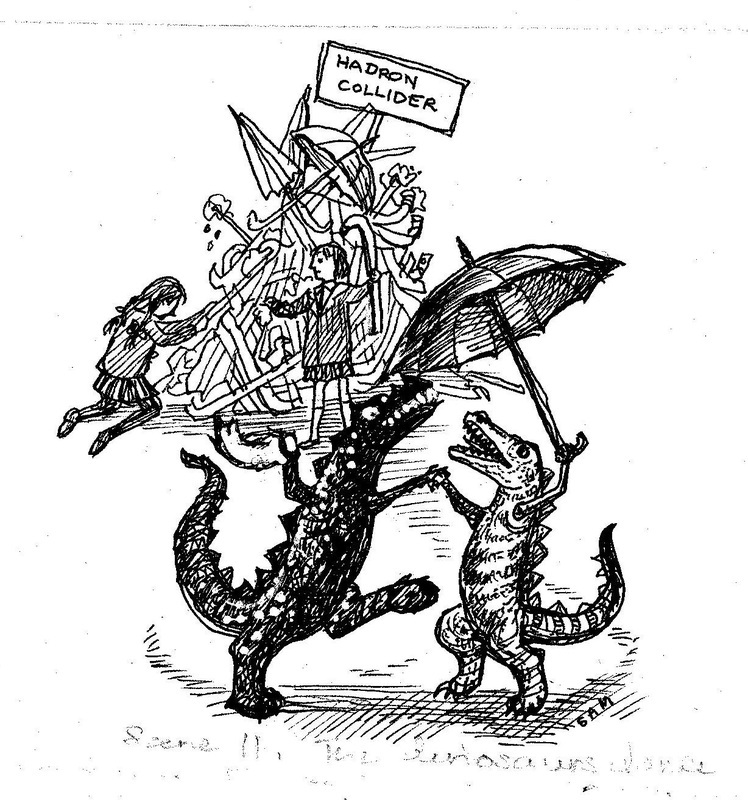 With a marvelous part for the dame, Headmistress – Dr. Cucumber Sliced-Loaf, D. Phil (Oxon) - this panto is fun from the start to the hilarious finale when the school geniuses use hockey sticks and bread pudding to build a hadron collider and teach the talking dinosaurs to dance. At the last moment the dinosaurs stop thinking of humans as their dinner and learn to joyfully dance.